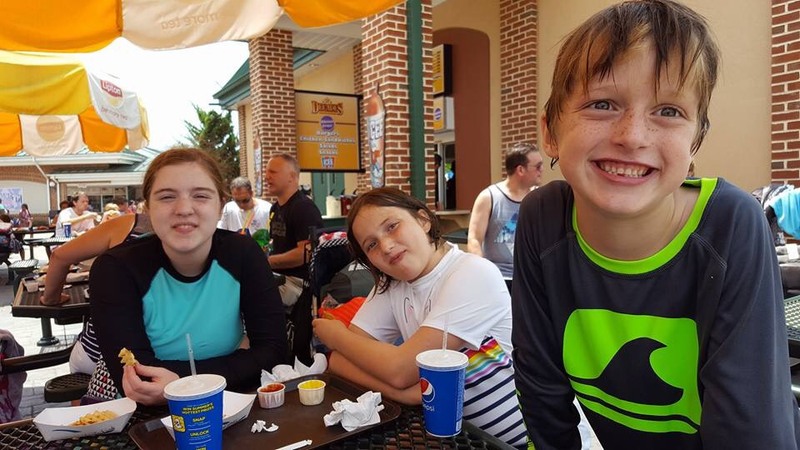 Hersheypark is such a fun park to visit for all ages. It’s within a few hours of DC, Baltimore, Philadelphia, and surrounding areas. Just outside of Harrisburg and a short ride from Lancaster, Hersheypark is fun no matter the time of year. My family has visited in the spring, fall and winter but their favorite time is the summer, because of the Boardwalk. The Hersheypark Boardwalk, opened in 2007, is designed to look like the beaches of Atlantic City, Ocean City, Coney Island and Rehoboth beach. 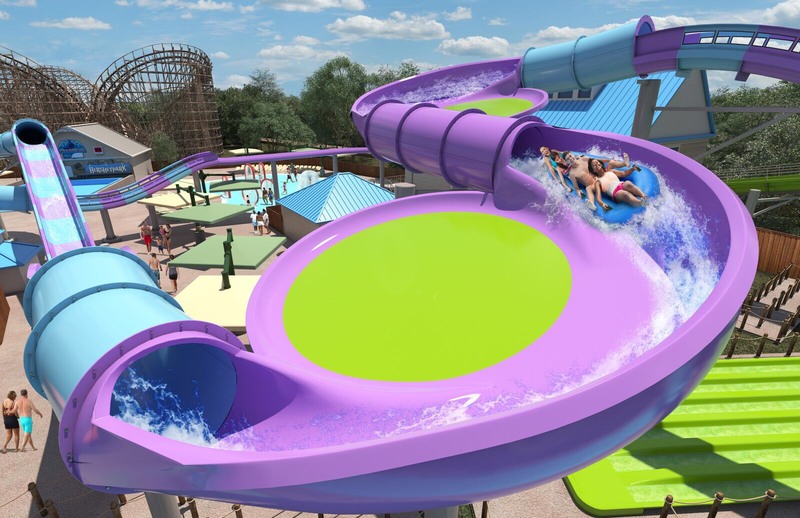 The Boardwalk boasts 6 water slides, a fun Lazy river, A large and kid size Wave pool, kid splash areas and the Waterworks. The seven story high Waterworks structure is the largest in the world. No matter what you like to do, you will find something you love at the Boardwalk. My girls love the slides, while I enjoy the lazy river. My only complaint is they never want to leave. Get a waterproof cover for your phone so you can take lots of pictures (I didn’t, hence the lack of pictures), though using cameras underwater is not allowed. Guest Post Written By Patti Persia: Patti Persia is a travel agent with Destinations to Explore and specializes in family vacations, destination weddings and cruises. Email patti@destinationsinflorida.com for a free quote for your next vacation. Jamaica continues to enjoy a reputation as a world famous destination for travelers. Beautiful beaches, ocean adventures and all-inclusive Caribbean Vacations are just some of what makes Jamaica a “must do” on your travel list. Take a trip to the island of happy days, vivid nights and dreams come true, paradise in Jamaica can be whatever you want it to be. See the world through new eyes as you hike the Blue Mountains, meet friendly natives, try the amazing local cuisine or watch the sunset over the Caribbean to the sounds of a slow reggae tune. Adventure seekers can try the ziplines and rafting in Ocho Rios, or the horseback riding and ATV safaris in Negril. Doctor’s Cave Beach and Seven Mile Beach are popular Jamaican beaches with crystal clear water that is perfect for snorkeling and scuba diving. Whether you’re up for an adventure, ready to tie the knot or simply want some rest and relaxation in paradise, Jamaica has the All Right you need. From Ocho Rios to Negril and every beautiful spot in between, this island paradise is home to the Caribbean’s most spectacular all-inclusive resorts. Lining Jamaica’s picturesque shoreline are hotels and resorts to fit every travel and every traveler’s budget. Stunning views add a spectacular backdrop to to every adventure on your wish your list. With over 30 different resorts along Jamaica’s shoreline, including adult only, we can find the one make your vacation the one you have always dreamed about. Brand names like Hyatt, Couples, Jewel, RIU, Iberostar, Palladium, and of course Sandals and Beaches, the perfect resort is waiting for you. Adventure seekers can try the ziplines and rafting in Ocho Rios, or the horseback riding and ATV safaris in Negril. Doctor’s Cave Beach and Seven Mile Beach are popular Jamaican beaches with crystal clear water that is perfect for snorkeling and scuba diving. Enjoy fresh seafood, local Jamaican cuisine, and a spirited nightlife on Montego Bay’s Hip-Strip. 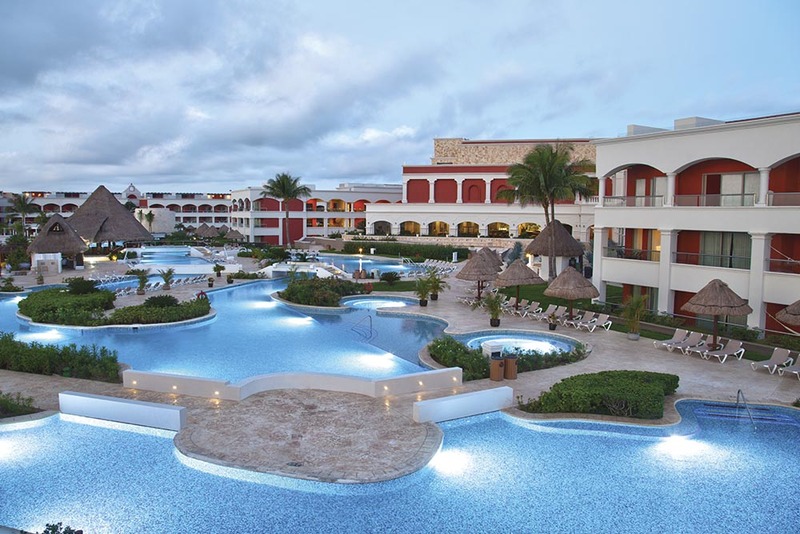 The Hard Rock Hotel in Riviera Maya is a 1,264- room all inclusive resort where paradise comes to play. Luxury meets satisfaction on the stage of stunning tropical views, a private white sane beach and exclusive saltwater snorkeling areas. The legendary Hard Rock hospitality caps off with inviting traditional design and undeniable excess at every turn. 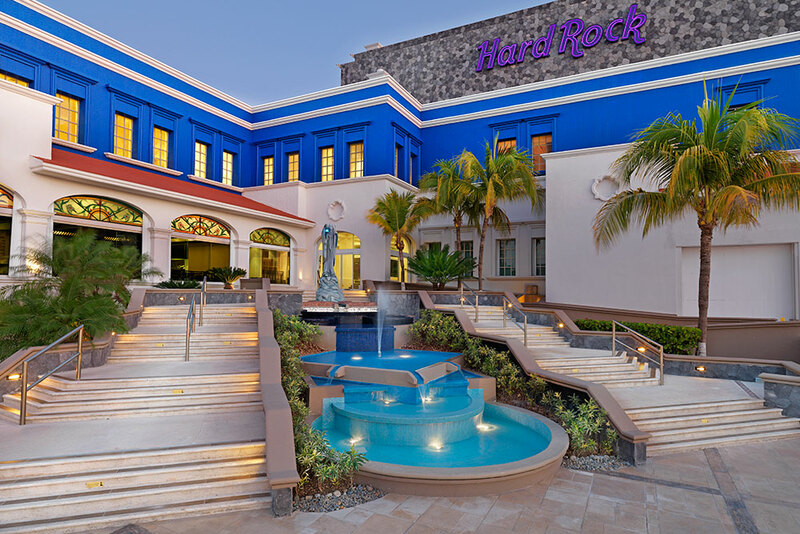 The Hard Rock Hotel in Riviera Maya is the very best of paradise for all. If you want an adults only vacation, then pack your bags for Heaven, an elevated and exclusive retreat. Heaven features a private adult beach, superlative amenities and dining at its finest. Imagine if all the awesomeness that is Rock and Roll was turned into a vacation experience that is has to be experienced to be believed. What does that mean ? It means all access, backstage pass to stellar amenities and world-class style with 6 expansive pools complete with swim bars. Also included are white sand beaches, lavish Rock Spa for adults guest, world-class shopping and lounges for all. There’s nothing like the legendary perks of all inclusive vacation, especially at the Hard Rock Riviera Maya. Upon arrival you will be provided with the phone number of your personal Rock Royalty assistant. Just like all the “big stars” this assistant is on-call to serve you. Champagne service by the beach, standing reservations at your favorite romantic hot spot or anything else that will orchestrate your stay to another level. There are different levels of Rock Royalty to choose from including Deluxe Platinum , Deluxe Platinum in Heaven , Rock Star Suite or Bret Michaels Rock Star Suite. Which level of Rock Royalty are you ? With the Sound of your Stay the power of rock is your hands ! The ultimate sonic experience for your All Inclusive vacation, The Sound of Your Stay® features 3 unique perks from playlists and tunes to mixing boards, guitars, amps, and more. Picks is our exclusive library of six-stringed Fender legends that you can check out to your room. Hey, you gotta’ let a player play. Choose from 20 classic Fender guitars to work out on. Tracks is our music download program. Once you check in, you’ll receive a redemption code for one of three unique playlists, assembled by a select group of Hard Rock gods to put the emphasis on the awesomeness. You’re the DJ! mix® is your opportunity to drop the bass and pick up the beat right in your own room! Every day you can check out a Traktor Kontrol Z1 controller and iPad that taps into a personal set of headphones. If you aren’t quite sure what to do with it, we have a Rock Specialist to show you. 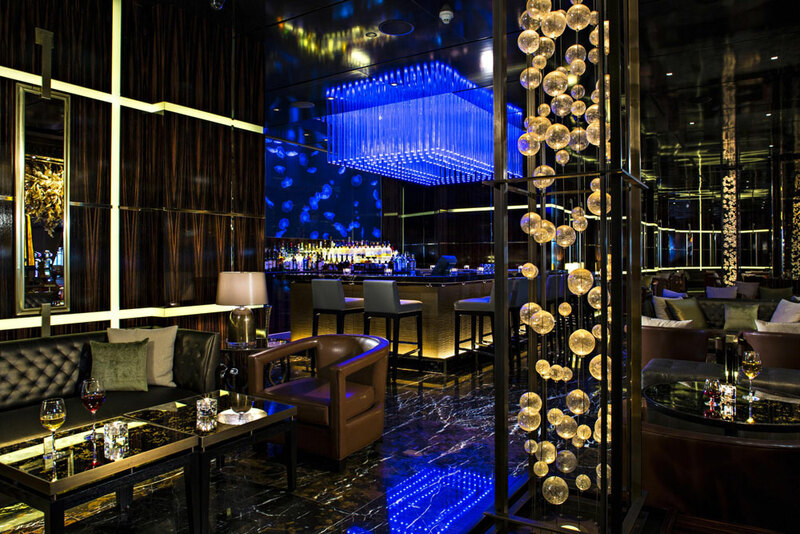 All you need now is a mirror ball and a doorman managing the velvet rope. Hang out, learn, and play with all your kids’ favorite friends like Barney™, Angelina Ballerina™, Bob the Builder™,and Thomas The Tank Engine™! The Little Big Club™ is loaded with all the amenities of an All Inclusive luxury resort, with fun, kid-oriented activities scheduled throughout the week for a vacation parents appreciate and children will never forget. Heaven will elevate the spirit of Rock and Roll to a status all its own, and you’re on the list. The lavish extras, superlative amenities and no limits attitude is why the adults only resort within the resort is legendary. On top of the rock star rooms, the exceptional fine dining there are special adult only pools and private beach. Exclusive to adult guests, the central pool at Heaven is the perfect spot to grab some sun, lounge, or cool off with never-ending cocktails. Take a lap or kick back with a cool drink. It’s all up to you. This flowing pool combines relaxing currents with classic rock & roll excess. Enter the serene waters of private beach surrounded by the natural sea cove and enjoy all the Caribbean has to offer. Go in style with crystal blue waters, warm sand, and the perfect environment to snorkel, kayak, swim, and relax. Here, at Hard Rock Riviera Maya dining is an experience fit for a Rock ‘n’ Roll legends. Each and every day inspired cuisine is created with the freshest ingredients, by first class chefs. It’s satisfaction, conversation and legendary service with a Rock ‘n’ Roll twist, it’s top shelf everything. 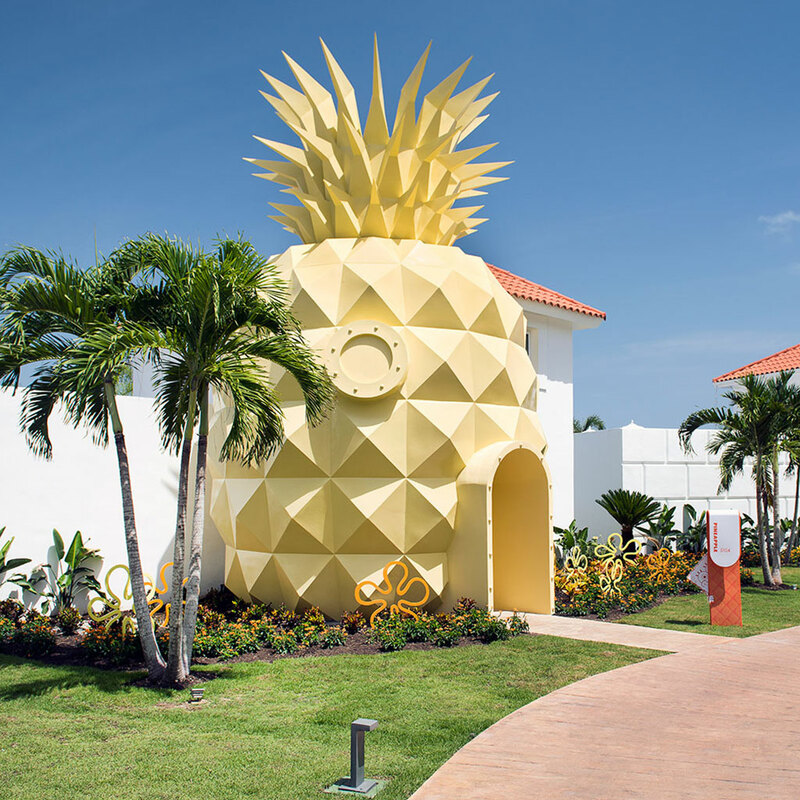 And it’s only at the All Inclusive Hard Rock Hotels in Mexico and the Dominican Republic. You won’t have to look far for perfection with dine in style, lounge with a laidback Riviera vibe, or the toast the night to remember with non-stop cocktails. By the pool, near the pool, next to the pool, or eve in the pool you won’t have to go far for your next top shelf drink. The “Lost City of Atlantis” has been part of our literature for 100’s of years and now your family can vacation at Atlantis. With signature dining, a marina, the largest waterpark and a casino, some consider Atlantis the Caribbean Monte Carlo. Originally part of the Paradise Island Hotel and Casino in the 60’s and owned by Merv Griffin this resort has changed ownership a couple of times, but with each owner adding to the astounding beauty that is Atlantis. Now part of Marriott International’s Autograph Collection Hotels, guests not only get to visit paradise, you have the ability to take part in all that the Marriott rewards program offers. Atlantis has designed an amazing retreat, no matter your budget. They offer casual and family friendly value priced rooms, for the more budget minded. Deluxe room accommodations, family friendly suites, and even a marina that will rival Monte Carlo. No matter what room category you choose, you are staying style, luxury, and convenience. 3 resort towers and 3 resort buildings, which include suites and villas, are intertwined thro ughout the Caribbean’s largest, 141 – acre waterpark. The grand icon of Aquaventure is the Mayan Temple, which towers at an astounding six-story height. 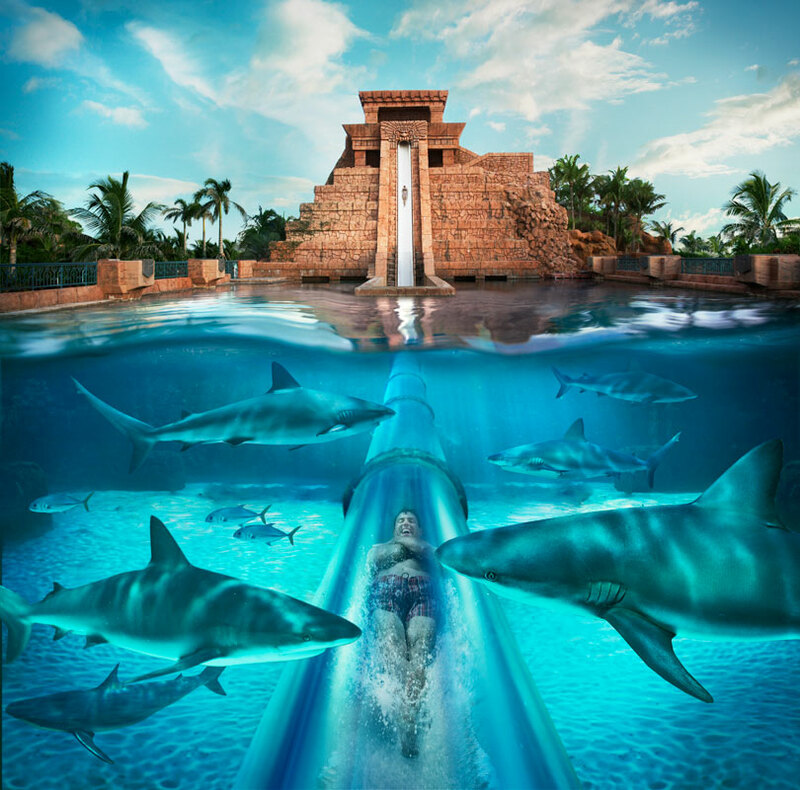 The structures boasts several thrilling water rides, including the Leap of Faith,a 60-foot near-perpendicular plunge that sends riders through a clear acrylic tunnel submerged in a shark-filled lagoon. The Mayan Temples boasts three other slides as well, including the Challenger slides, Serpent Slide, and the Jungle Slide. If you want something a little more “adrenaline fueled”, then The Power Tower is for you. 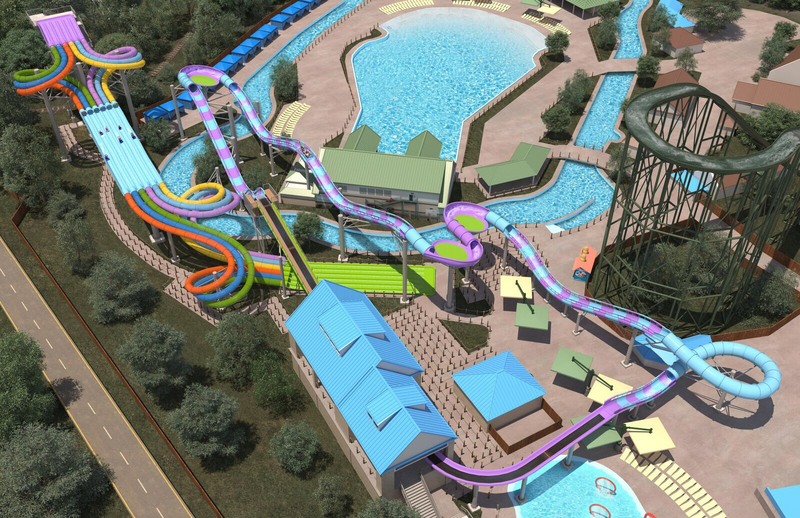 It is Aquavbentures’s tallest feature at 120′ and home to 4 adrenaline-inducing water slides. The most notorious, The Abyss, drops body sliders at a staggering near-vertical 50 feet into total darkness and through tumbling waterfalls, ending your journey in a deep cenote filled with menacing Alligator Gars. If that is a little too much adrenaline, the 3 inner-tube slides, The Drop, The Falls and The Surge are also located in the The Power Tower. Using “master-blaster” technology riders are propelled both uphill and down hill throughout the tower. Atlantis is home to 14 lagoons and more than 50,000 aquatic animals, with over 250 marine species represented. Simulating the 11,000 year old lost continent, the Dig provides a unique look at the amazing civilization of some the world’s most exotic sea creatures. Providing guests with a taste of the life in the legendary destroyed city of Atlantis, you can observe the bottom of the floors in different aquariums the wreckage and debris. Atlantis is not only filled with water sports, there are many things to do on land as well. Tennis, Shopping, Fire and Earth Pottery, Rock Climbing, Atlantis Library, Atlantis Theatre and even world renowned golf course designed by Tom Weisskopf. Spanning a 7 acre lagoon and linking the towers, the world-class Atlantis Casino is an innovation in casino design. State of the art player tracking systems allows the players to insert their room into any slot machine or present to any dealer to begin earning points for promotional giveaways. The are 85 gaming tables featuring baccarat, Ultimate Texas Hold’em poker, Let it Ride poker, craps, roulette, black jack and over 700 of the latest slot machines. If you aren’t sure how to play, complimentary gamily lessons are available daily. Only Atlantis can you bring you dining options, which are beyond compare. Featuring 21 restaurants, 19 bars, lounges, pool side snacking, endless buffet, and family style meals, you will be sure to appease your palate here. Dining reservations are required for all fine dining and a’ la carte options. Atlantis is the perfect vacation destination for families, couples, weddings and even vow renewals. The possibilities for an amazing vacation are endless when you spend time at the Caribbean Monte Carlo. 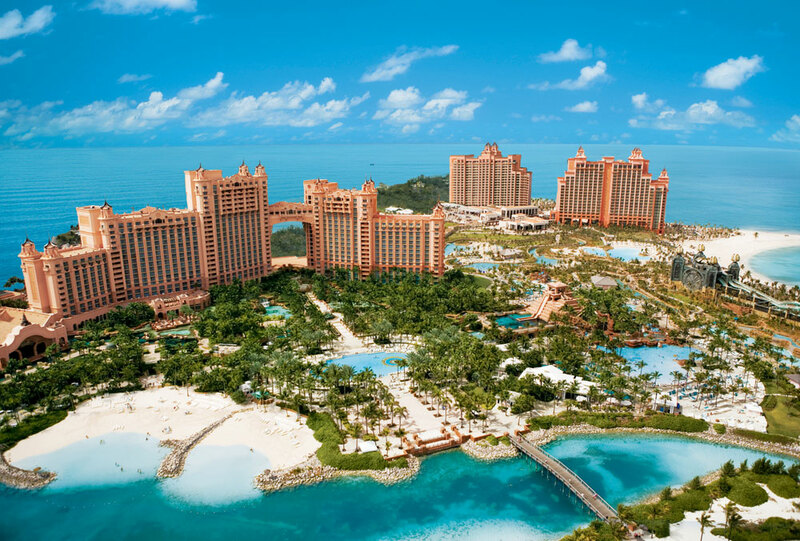 Click here for more information about Atlantis or contact Erin with Destinations to Explore.